A county-wide meeting will be taking place tomorrow (Friday) to discuss the on-going issue with travellers. Over the Christmas period tensions were running high in Warwick after travellers settled on sites near Hampton Road. Residents and councillors were growing increasingly concerned about the travellers after reports of threatening behaviour and mess. After a number of incidents where the travellers moved from site to site, police served a section 61 notice on December 28. A group of travellers then moved on the St Nicholas Park car park and were moved off the site on January 3. After the police moved off the groups of travellers from all the sites in Warwick a clean-up operation was conducted by Warwick District Council’s neighbourhood services team. Since the incidents there have been calls for change in how the unauthorised traveller encampments are dealt with. Tomorrow (friday) the Warwickshire Police and Crime Commissioner Philip Seccombe is chairing a county-wide meeting at Nuneaton town hall to look at the issues arising from unauthorised traveller encampments. It was announced last year that the meeting would be taking place. 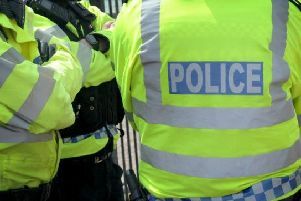 Taking part in the meeting will be representatives from Warwickshire Police, Warwickshire County Council, borough, district and parish councils and local MPs. The aim of the meeting is to gain a full understanding of the scale of issue in Warwickshire and the approach each agency takes in dealing with unauthorised encampment. The meeting will also look at potential improvements to the collective response, including consideration of best practice from elsewhere in the country.